My husband loves sandwiches. Seriously, he could eat them every day for every meal. Squeeze in a bowl of cheerios and he'd say he's had a "well-rounded" day of meals! 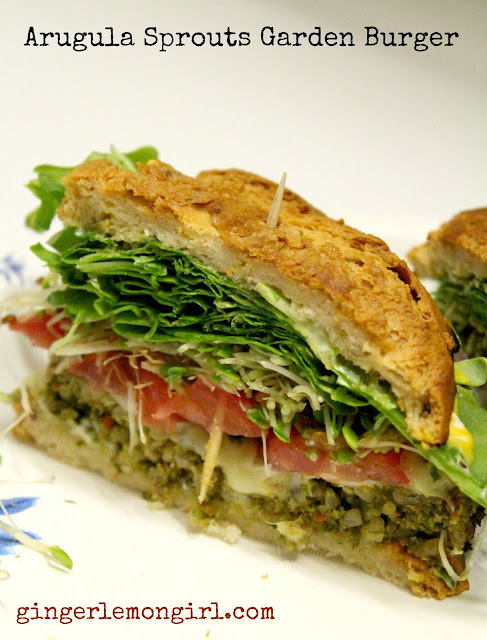 When the weather gets warmer I really love sandwiches too... along with more veggie-based meals. Salads, raw veggies, and veggie sandwiches. My favorite gluten-free veggie burgers are Sunshine Burgers. They are gluten-free, vegan, and soy-free as well. They are based from brown rice and carrots with different herbs and seasonings. My favorite is the Garden burger. What would you add to your veggie burger? YUM! I cannot wait to try sunshine burgers. I love veggie burgers, haven't found any GF brands yet so thank you.